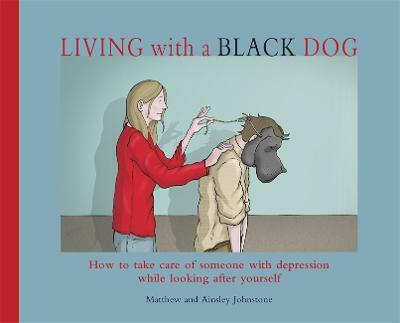 This second book from Matthew Johnstone, author of I Had a Black Dog, is an equally touching and beautifully illustrated book, written for those who care for those living with depression – friends, family members, colleagues, and even therapists. Matthew and his wife Ainsley offer a moving, inspirational and often humorous portrait of life with depression – not only for those experiencing it themselves, but for those close to them. Living with a Black Dog speaks directly to the carer and offers practical and sometimes tongue-in-cheek tips on helping the person with depression, such as ‘Socks have little do with mental health. If people could just ’snap out of it’ they would.’ Based on their own experiences, Matthew and his wife Ainsley treat the subject of depression sympathetically, hopefully and, most importantly, humorously.